Listen up y'all! There's a young Bluesman on the prowl and he's gunnin' for ya. They say you can't teach old dogs new tricks, but no one said nuthin' 'bout new dogs giving the old tricks a good lick and a polish. 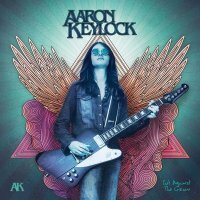 Aaron Keylock is still being touted as a "teenage guitar sensation", though he's been around longer and is more experienced than his eighteen years would suggest. Belying both age and his Oxfordshire small village roots, 'Cut Against The Grain' showcases an exciting talent who has, while still in his teens, managed to both assimilate decades of Blues Rock tradition and develop a strong musical voice of his own. Of course there are reference points – 'All The Right Moves' brings to mind Rory Gallagher, the whimsy of 'That's Not Me' was inspired by The Faces, album closer 'No Matter What The Cost' is a nod to The Allman Brothers and the slow and heartfelt Blues of 'Just One Question' echoes Gary Moore. It's astonishing to think the latter was written when Keylock was just thirteen! Right from the off, '...Grain' bursts with freshness and vitality. The lively riff of the punchy '...Moves' makes the point better than I can, the razor sharp solo shortly after two minutes contrasting nicely with the slightly drawled vocal. In fact, within the Blues Rock idiom, the album covers an impressive range of styles with Keylock's wide ranging influences – American and British, early and modern – mixing things up and keeping them interesting. The striking 'Down' mixes Blues with Grunge-inspired Classic Rock riffing and boasts three different time signatures. 'Medicine Man' is an audience favourite and the first track Keylock ever demoed whilst the title track is predicated on a mighty Led Zeppelin riff. I'm also rather taken with the heavy groove of 'Sun's Gonna Shine' and the gentle sixties vibe of 'Try'. 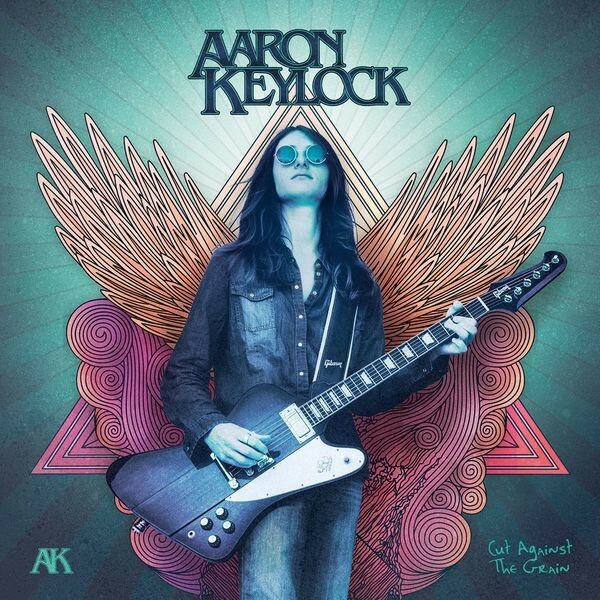 "I guess what I've always loved about Rock 'n' Roll", Keylock has commented, "is that you're free to express yourself in many ways and to use many guitar techniques to convey different emotions". The freedom and variety – of technique, vibe and emotion – are evident throughout an album that is a striking and powerful debut. It's sure to raise Aaron Keylock's profile and win him new fans. His label and supporters expect great things from him and with 'Cut Against The Grain' in the can, he is poised to deliver.